The worst has finally happened to Rachel - she's been Shunned. Now the only way to get her Shunning rescinded is to travel across the country to the annual Witch's Convention and go before the Council. But after she's denied passage at the airport, she doesn't see how she can possibly make it in time. Enter Trent, who shows up and asks Rachel if she'll accompany him on a cross-county road trip. He's got to be on the western seaboard in three days for a secret elf quest he's on, and he needs Rachel along as his bodyguard. 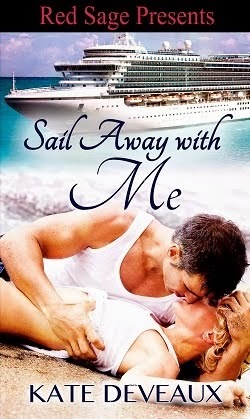 Knowing the trouble she gets in every time Trent's involved, she's hesitant to accept his offer, but sees no other choice. After all, how much trouble can she, Trent, Jenks, and Ivy get into in three days? I absolutely love Kim Harrison's Hollows series. After a mutated tomato wiped out most of the world's population, the paranormals came out of the closet, since most of them weren't affected by the epidemic. After breaking away from her government job, Rachel started an investigative business with her friend Ivy (a living vampire) and Jenks (a fairy). She's had several ups and downs, but being Shunned for using black magic is just the latest problem. The witch council thinks Rachel's a demon, and is looking for any excuse they can to Shun her, which if convicted, means Rachel gets a lobotomy. She needs to get across the country to try and get her Shunning rescinded, but doesn't want to travel with Trent, an elf who's given her nothing but problems for years. But since she has no other choice, she heads off on what has to be the strangest road trip in history. Along the way, Rachel and Trent form a tentative truce in order to stay alive long enough to get to their destinations. Kim Harrison has only gotten better with each book, and she's in my top five favorite authors for paranormal fantasy. All I can say is, read her for yourself and see what I mean. Dammit!! 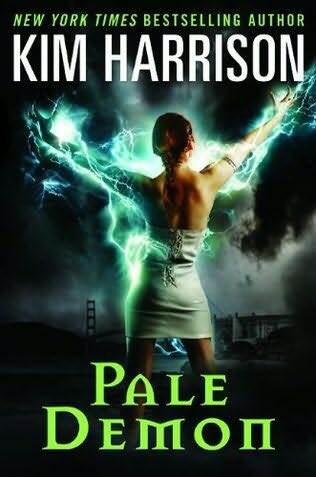 I can't wait to read Pale Demon!